After a lifetime of abuse, a few years ago I thought somethings gotta give... something will cause things to turn out really good... after all... I have survived so much... and I am sure my life is half way over with... and I really thought GOD would finally give me a break and grant me peace and happiness. So I am going to post some things that I honestly thought would be good things. Give me some value and help my family and other people close to me. Believe me, I am good on my own. I want to be able to help others... and I have a list of other people who would benefit from me making just 1 thing work. And over the years I have tried many things... and I am going to post them here. Because... well, I don't know why. I sorta feel ripped off and maybe getting this out here will help me feel better. My Pizza Bags. 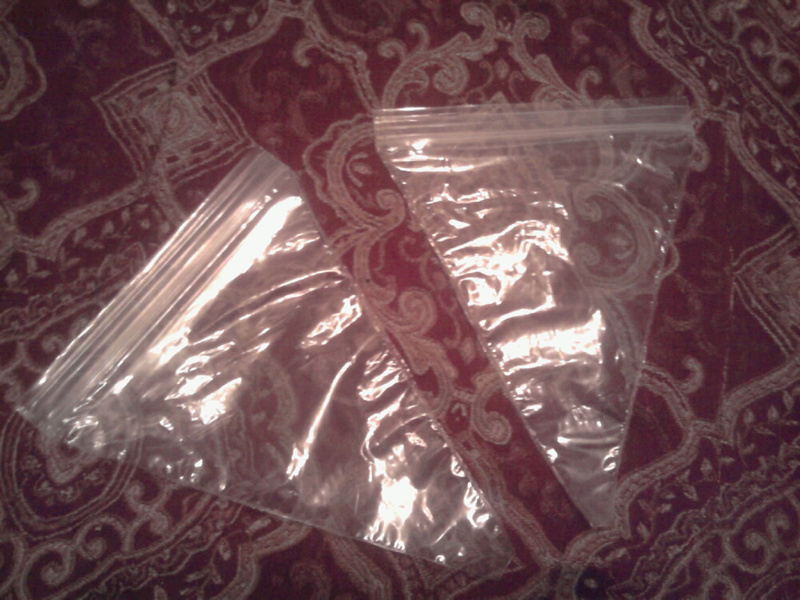 I created these bags myself because I cant eat a pizza fast enough and if you freeze it in the box it dries out... if you freeze it in the bags it dries out. I had tried the square ones, but the extra space absorbed the moisture, even if you folded it over. So I made these bags to use and they worked perfectly in keeping the pizza moist when reheated. One day I was making these bags and someone said, you need to tell someone about it. So I call a MAJOR uh, 'family company' who creates baggies... and I got a call back... in fact, I got a few call backs. And they instructed me to get a provisional patent... which I did... and did all the paperwork... several packs... several calls... that was in 2009. They really seemed interested and I was told that they were taking it... 'upstairs'... and I would get a call back. Well, I am still waiting on that call back. But in the meantime... I notice that this 'family' business has come out with their shape your food freezer bags. This is just one of those things that I had high hopes for... and as usual, the American dream is CRUSHED by big business... who only want to make a profit. Could be of GREAT use... they conform to the slice and slices can be frozen and eaten separately. Because big business stuck me out... I still make my own... I am not going to buy their new shape your food bags. Because I feel like they sorta stole my idea and reasoning.